The Wood Brothers join Colter Wall this summer for a West Coast co-headline tour, including a performance on Thursday, August 22 at City National Civic in San Jose, CA. 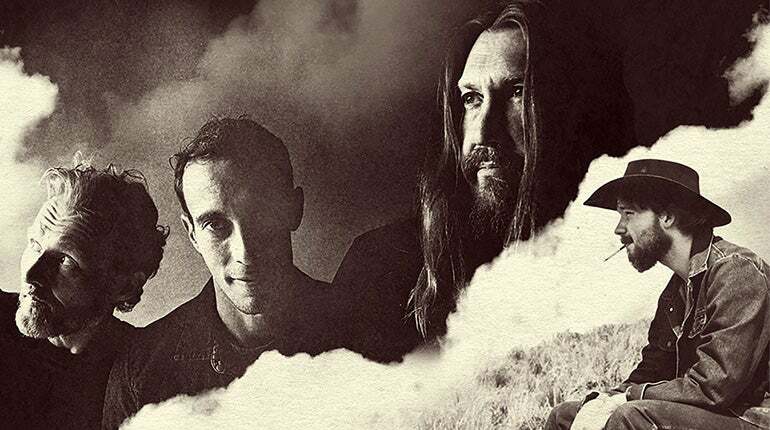 The trio—featuring brothers Oliver and Chris Wood and Jano Rix—are supporting their sixth studio recording, the Grammy Award-nominated album, 'One Drop of Truth,' released via Honey Jar Records/Thirty Tigers. Whereas previous outings by The Wood Brothers have often followed a conceptual and sonic through-line, 'One Drop of Truth' dives headfirst into a deep wellspring of sounds, styles and recording approaches, treating each song as if it were its own short film. The plaintive, country-folk of "River Takes the Town" gives way to the The Band-esque Americana soul of "Happiness Jones." The stream of consciousness ballad "Strange As It Seems" floats on a cloud of ethereal beauty, standing in stark contrast to "Sky High"—a Saturday night barnburner built upon stinging slide guitar funk. "Seasick Emotions" is rife with emotional turmoil, yet "Sparkling Wine" is jaunty and carefree. The end result is undeniably The Wood Brothers' most dynamic recording to date. Building off the success of their previous studio album, 2015's 'Paradise,' and 2017's live release, 'Live At the Barn,' recorded at Levon Helm's Barn, The Wood Brothers found themselves at a fortuitous crossroads. Following a tour with Tedeschi Trucks Band, high profile festival dates and sold out headline shows, the band felt free from the cyclical album release, tour, write, record and do-it-all-over-again pressures. With all three members living in Nashville affording easy access to each other and a wealth of local independent studios at their disposal, they started work in January of 2017 with a new approach. "Instead of going into one studio and recording it all at the same time, we picked a couple studios, and started to experiment," says Chris Wood. "Sometimes we’d just make demos of songs to see if we got anything we liked. There was no pressure, and that really freed us up. We just did one or two songs a day, put it aside, let the songs simmer, and then we’d have a fresh perspective on what was working or not working. You need time to go by to gain objectivity." "It's the freest album we've done, the most independent album we've done, and was the most fun we've ever had making a record," adds Oliver Wood. "And most importantly, this is the most purely Wood Brothers' album we've ever made."